There is a little secret amongst those who are known to be “good at math”. Almost nobody is truly good at math, or, at least, almost nobody is naturally good at math. There is a common idea out there that some people are “good at math” while the rest of us are not. I’m here to argue that this is not just wrong; it is also a dangerous and limiting idea to hold. The trouble with a lot of math in high school and higher education is that it is composed of concepts that require a mental leap, and “I get it!” moments. The study of mathematics then becomes a progression of reaching out and jumping from one level of understanding to the next. The trouble with this method of learning math is that no one is sure of how or when their brain will make the required leap and all we can really do is continue to try until “the light bulb turns on”. The instant before you make your leap, you have no indication it is about to happen but after it has happened, your brain is better at math. Imagine you are placed into a room you have never been in before, which is pitch black, but also that you are told by a friend that there is a light switch in the room somewhere. That is all you know. You don’t know how big the room is, or where the switch is. What are you going to do? A situation like this could be scary; there are a lot of unknowns and you will never really be sure how long it will take before you find the light switch. The way I see it, you only have two options – to feel around until you find the light or sit down or do nothing. It is probably not enjoyable to search for the switch in the dark, but it is better than giving up. Let’s extend the scenario. The dark room is only the first room in a long chain of rooms. As soon as you find the light switch, you will be able to see a door in the room that will lead you into a new room, also dark, also unknown, also with a light switch somewhere. You are told that some of the rooms also have treasure in them, and some don’t. As you progress through this boring game of find the light switch, you get a little better at finding light switches. Some of the rooms have similar shapes, you develop new light switch finding strategies like always walking with your right hand on a wall instead of groping around in the empty parts of the rooms. 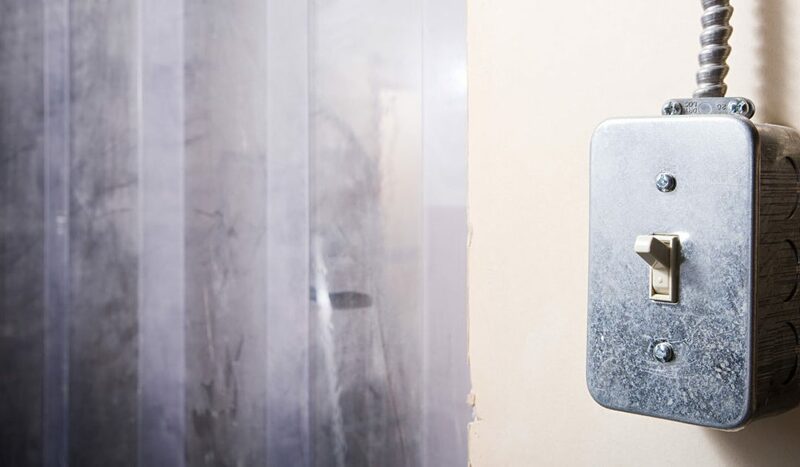 At first you have a lot of thoughts like “maybe this room is a dead end or there isn’t a light switch in this room” but as you find more switches, you worry less about whether a switch is there and more about how to find the next one. This is basically what learning math is like. You will rarely know how long it will take to get a light bulb moment, and it can be hard and scary. Sometimes you will worry that you will never “figure it out” but the more you succeed, the less those worries will bother you. Believe you are good at math. That’s it. Just believe and act accordingly. Everybody struggles with some aspects of learning math, the ones that say they don’t either are good liars or have poor memory. The people that succeed at math are typically the ones that don’t give up when others do. Don’t stop reaching out in the dark when the light switch might be only a few inches away. Unless you live with a specific condition, your brain is capable of grasping concepts that your peers might think are too hard to attempt. Research shows that telling a child that they are bad at math because their parents were bad at math is the best predictor for a child doing poorly at math. Children whose parents were bad at math and don’t tell them so, do just as well as kids whose parents were good at it and don’t tell them so. Not all the light switches have been found. We call this the cutting edge of science and if you keep searching, some day, maybe you will extend the frontiers of human understanding. Now that is something to work towards. The above isn’t just true for math. One of the amazing parts about learning math is that it stretches your brain; it is a workshop to teach you to make mental breakthroughs. Going through the hard work of learning a concept in math can help you solve other problems. It makes you a better writer, a better programmer, a better philosopher, a better artist, and a better friend. Learning to persevere where others give up will serve you well in nearly all parts of your life. Now go find your next light switch.